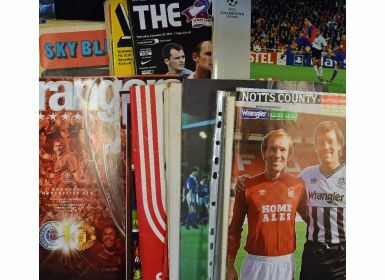 Large size issue football programmes to include 1978 Manchester Utd v Real Madrid plus others including Champions League aways, other clubs include Coventry City, Wolves, Newcastle Utd, Mansfield. 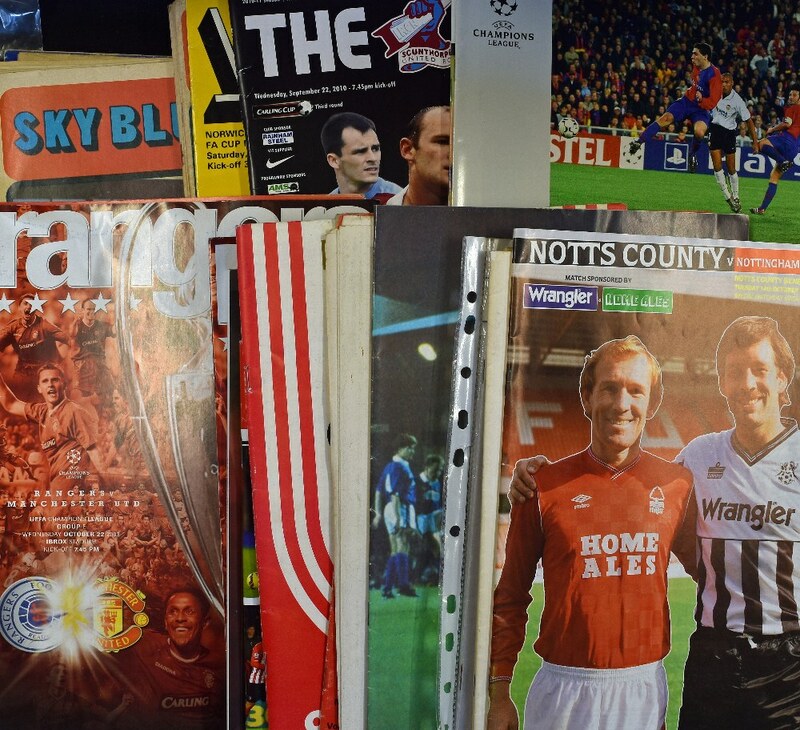 Also newspaper type issues to include Notts County, Preston NE, Walsall, Oxford Utd, Northampton Town, Derby County. (50) Worth a view, generally Fair-Good.